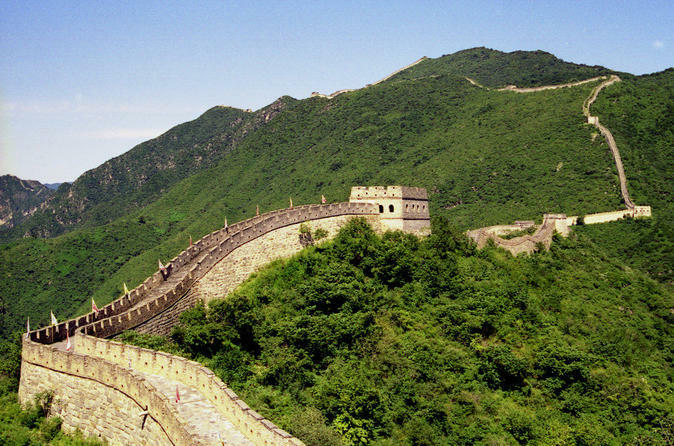 Discover the Great Wall of China on this small group tour from Beijing. Travel to the restored Mutianyu section and climb the Ming Dynasty watchtowers for incredible views of the Great Wall and the surrounding countryside. You can descend the wall by toboggan or take in the aerial view by cable car (at an additional cost). 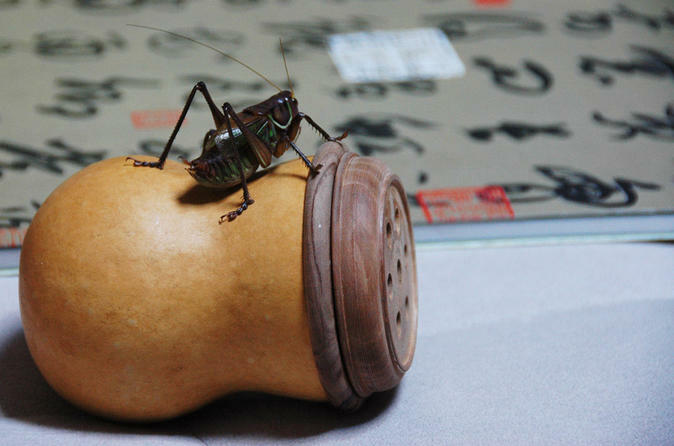 You'll then enjoy a traditional Chinese lunch and finish your day back in Beijing. 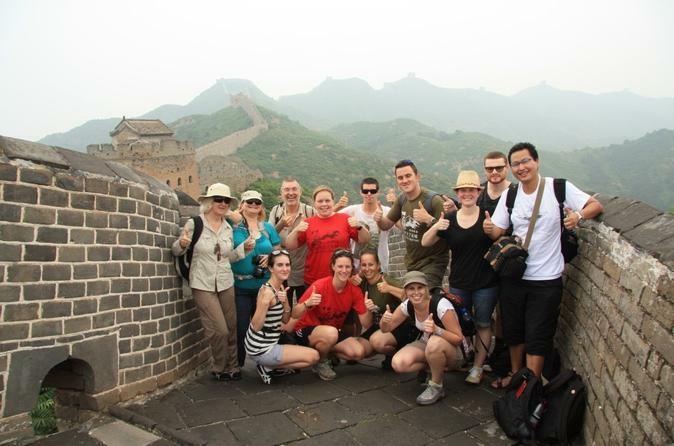 This small group tour has a maximum of 12 participants, allowing for a personalized Great Wall experience. As the most popular hiking trip of Great Wall around Beijing, it will show you both untouched and restored sections of the Great Wall at Simatai West and Jinshanling within 3 hours. We will reach the Wall by Kylin Tower at Simatai West, and then walk westward to Jinshanling. 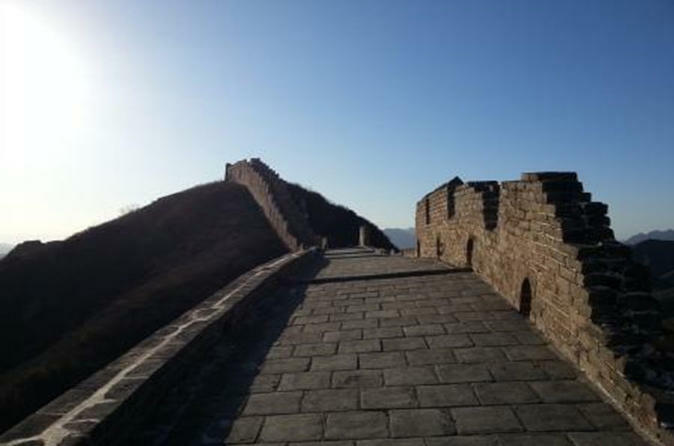 We will get off the wall at Shalingkou at Jinshanling, or you can walk another 30 minutes if you feel energetic and then get off the wall at Zhuanduokou . The unrestored wall, the watch towers, the beacon towers snake on the mountain from east to west. You will have chance to meet local farmer friends, try local home-made food and learn local community development. It is the best place for keen photographers along the wall. Regarding fitness it is a medium-level hiking for all ages. 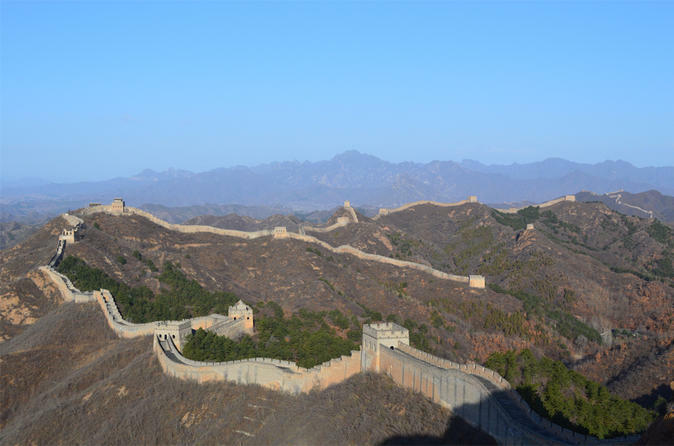 Visit the Great Wall of China and Forbidden City in one day.Skip the line at the Forbidden City for our VIP guests,hiking on Mutianyu Great Wall after crowds leave. Make full use of your precious time in Beijing and deeply discover the history and culture of Beijing. No shopping, no factories, no queues! On this dynamic private tour of Beijing, discover world-famous monuments and experience local customs with your friendly local guide. Visit culturally significant landmarks like Tiananmen Square and UNESCO World Heritage Sites like the Forbidden City and the Temple of Heaven. Then, join locals in leisure activities like afternoon tai chi and get a taste of traditional Chinese cuisine. This private Great Wall tour with an English-speaking driver can make your Great Wall tour much easier and at a good price. The driver can explain some history to you, help you buy the tickets and tell you how to climb the Wall. Tour the Great Wall at the Mutianyu section, regarded as the most beautiful, with less tourists. Scale the Mutianyu section of the Great Wall and take in the views with a picnic at its peak, a Viator Exclusive that can’t be booked anywhere else. This full-day tour, round-trip from Beijing, offers a chance to savor tasty local dishes and sip chilled sparkling wine while enjoying views from a secluded rampart. If you’d like, explore the art galleries and cafés of the 798 Art District afterward! Enjoy personal attention from your expert guide on this private small-group tour, limited to 10 people. 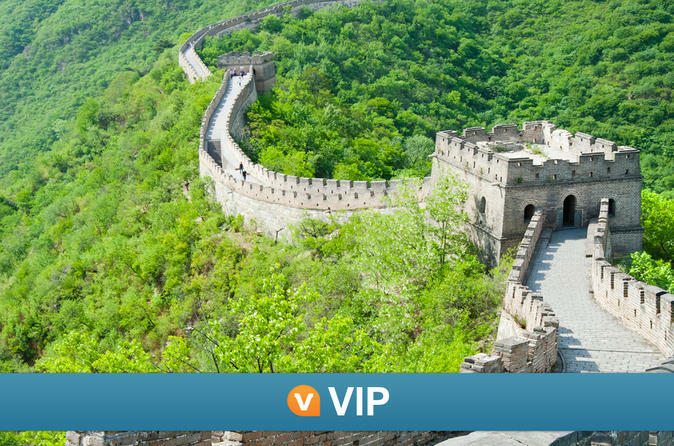 Enjoy a VIP tour of two UNESCO World Heritage Sites from Beijing – the Forbidden City and Badaling Great Wall Ruins. 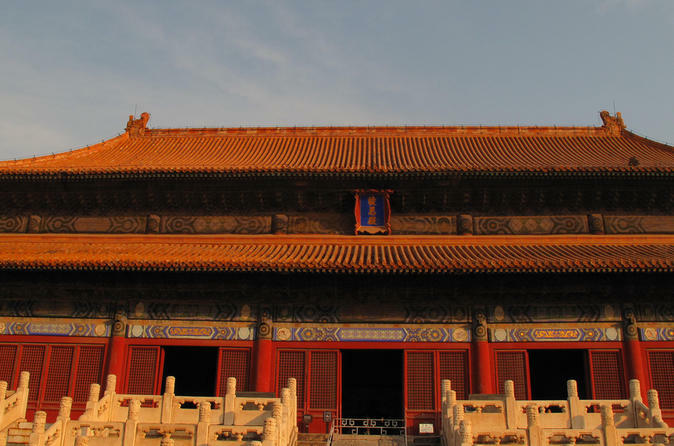 With your expert guide, gain special entry to two of the Forbidden City's less public sites – the Treasure Gallery and the Clock Exhibition Hall of the Palace Museum – where you’ll discover imperial riches from the Ming and Qing dynasties. You will also see the famous Nine Dragon Screen of The Palace as well as Gate and Palace of Heavenly. Then, walk along the newly opened Ruins of the Great Wall, an authentic and less-traveled section with insight into China’s magnificent past. A Chinese banquet lunch with Peking duck completes this amazing full-day experience. Note: Jinshanling Great Wall is closed for maintenance from May 31, 2017. 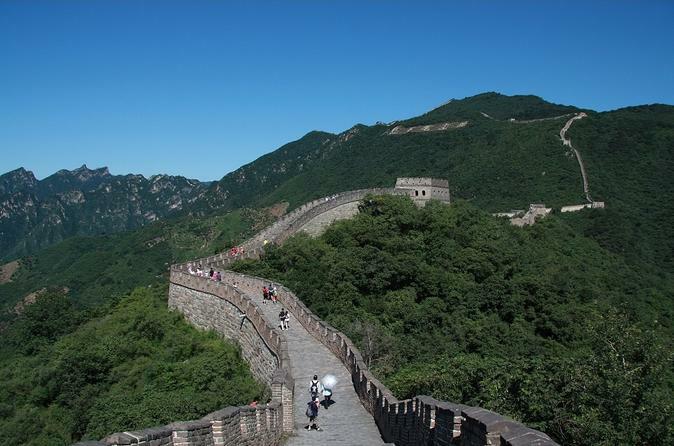 You will hike on Simatai Great Wall instead until the reopening of Jinshanling Great Wall. 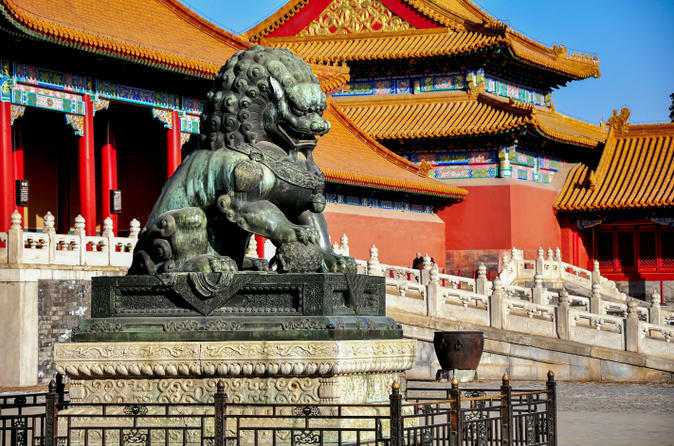 This ultimate Forbidden City tour will take you see 18 palaces including The Antiquarium of The Palace Museum (Treasures Museum). It will provide you a deeper understanding of what Forbidden City looks like and what the culture are behind it in 5 hours. The Forbidden City now is limited the ticket sold everyday. With this tour, no worries about the ticket, and skip the line! See the beautiful city of Beijing light up at night on this private bike tour of the Chinese capital. Your expert guide will lead you through the winding streets of Beijing and tell you stories and facts about every stop you make. See the beautiful city skyline illuminated as you bike along Tiananmen Square and the Forbidden City. Enjoy the scenic and lush environment of Shichahai Lake and Jingshan Park and cycle down Nanluoguxiang Alley to see trendy shops and bistros built along Beijing’s ancient alleys. 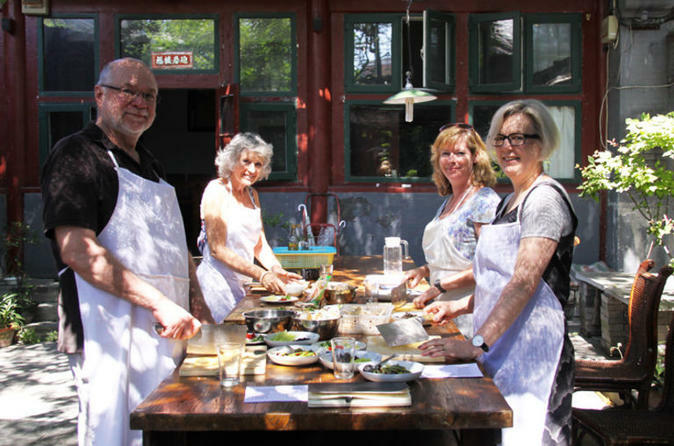 Experience the authentic lifestyle of a Beijing local on this private tour. 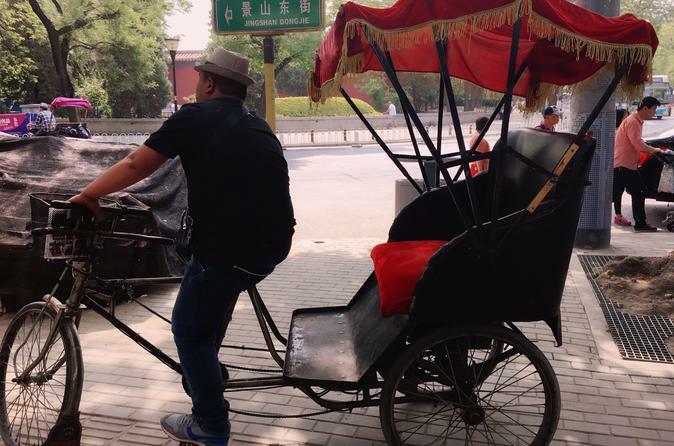 Interact closely with locals and ride a rickshaw through Old Beijing’s 'hutong' area, characterized by narrow alleyways surrounded by ancient courtyards. 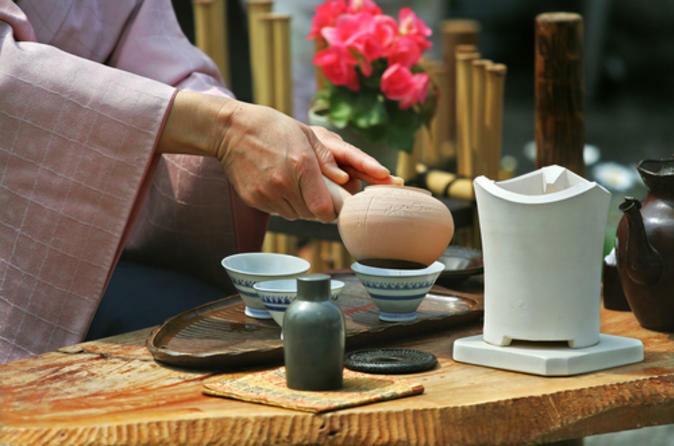 Visit the home of a local family and partake in traditional Chinese activities such as making dumplings, Chinese calligraphy and paper cutting. You will also enjoy a bird’s-eye view of the ancient city from the top of the Drum Tower. Explore Beijing's architectural wonders and experience its cultural delights on this full-day private tour. With your expert guide, discover the ambitious nature of ancient Chinese architecture as you hike the Ming Dynasty-era Great Wall at Mutianyu. Later, compare this with the modern architecture of the the 2008 Olympic's Bird’s Nest and the Water Cube. Transport by private, air-conditioned vehicle and an authentic Chinese lunch are included. 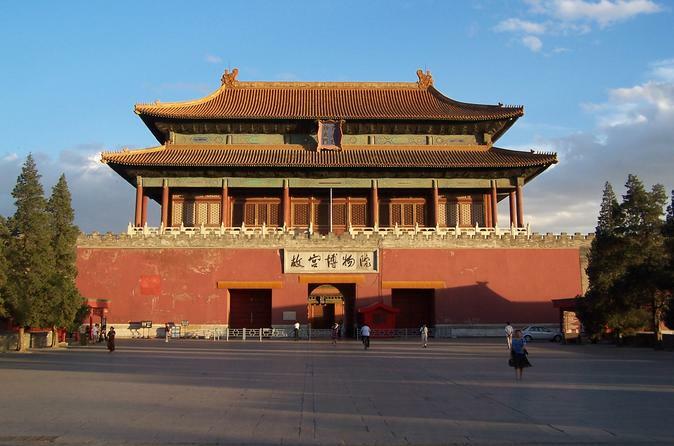 Enjoy this 9-hour tour and experience Beijing's most visited place. 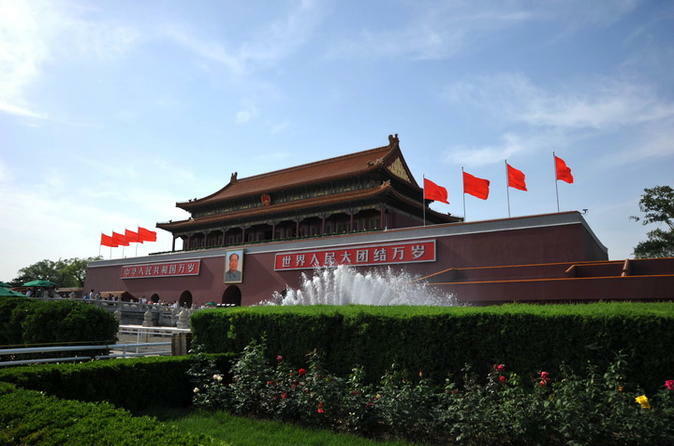 This small-group tour, consisting of no more than 7 people, includes visits to Tienanmen Square and the Forbidden City. Conclude the day with a trip to the Mutianyu section of the Great Wall along with your English-speaking guide. All entrance tickets and hotel pickup/drop-off are included. Learn about China’s capital city on this guided sightseeing tour. 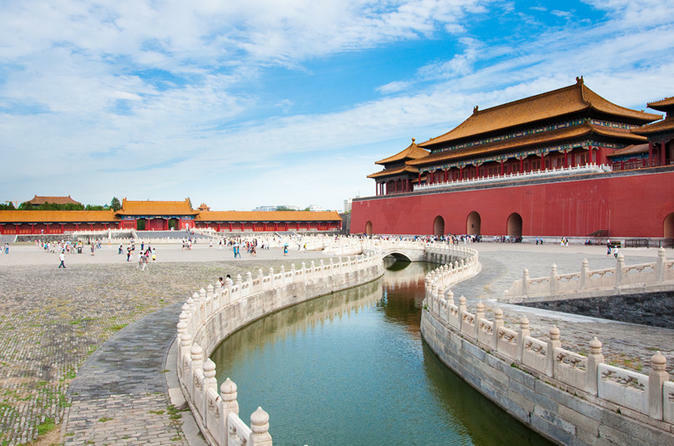 Your private guide will share interesting stories and facts about Beijing’s history as you walk through the Forbidden City and Tiananmen Square. See gorgeous landscapes at Jingshan Park and visit a ‘hutong’ (a narrow alleyway). Experience how locals live with a rickshaw ride along Beijing’s streets and stop at a local family’s home for a delicious home-cooked meal. Your private guide will show you Beijing’s highlights and keep you informed on various interesting facts about each stop. 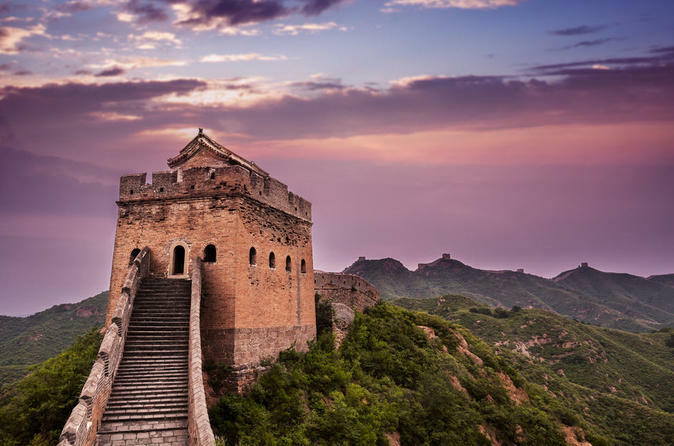 See the best of China’s ancient civilization on this private full-day trip from Beijing to the Great Wall of China and the Ming Tombs. 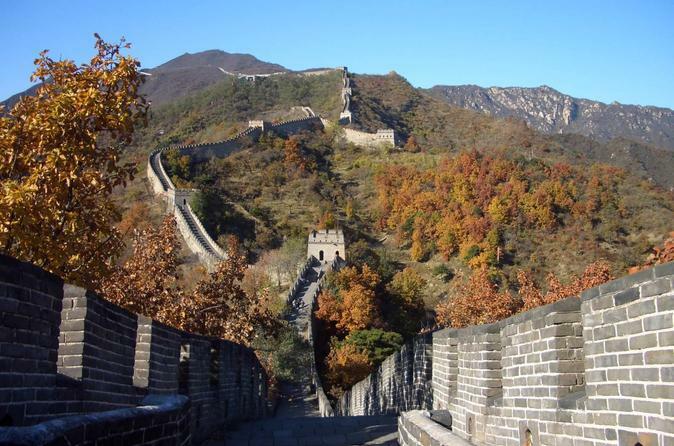 At the Great Wall, you’ll climb the Juyongguan section, one of the most strategically important sections of the wall. You’ll also explore the Ming Tombs, the burial ground of 13 Ming Dynasty emperors. When you’re in Beijing, you can’t miss the Great Wall of China! 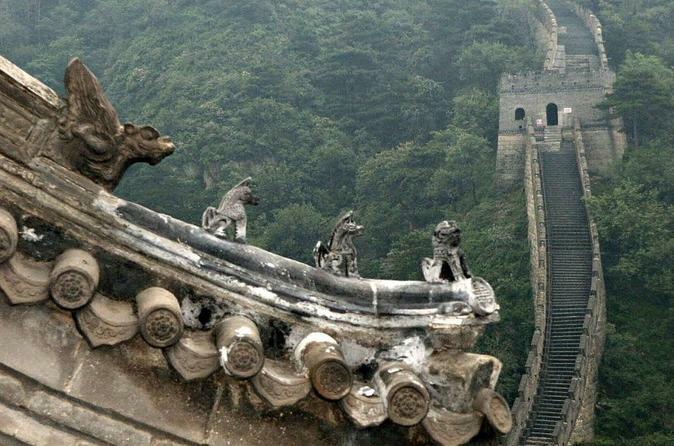 A private tour is the best way to see this famous Chinese attraction. 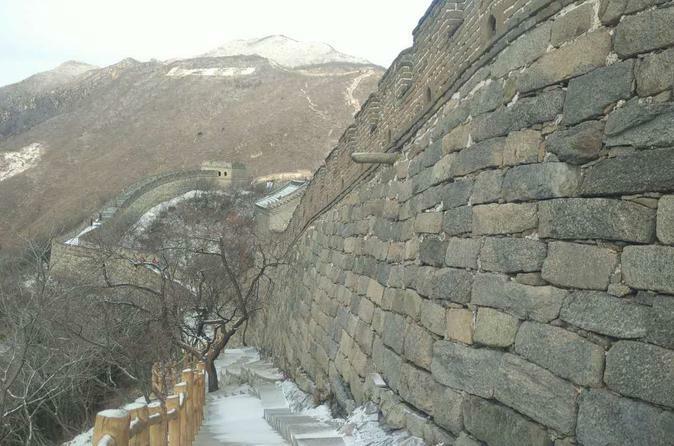 Spend a half-day climbing Juyongguan, the closest section of the wall to Beijing. 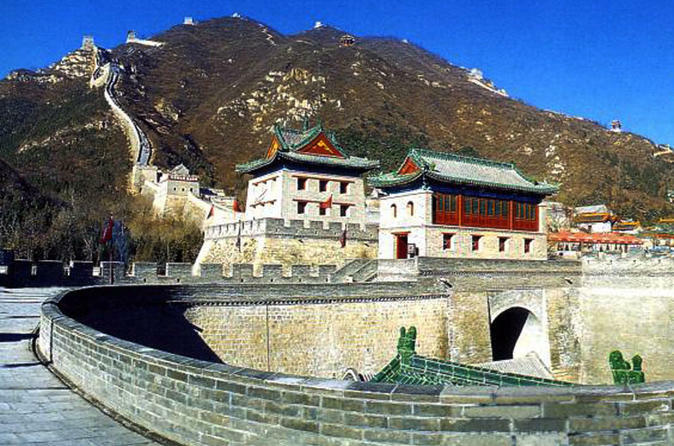 Juyongguan was considered one of the most strategically important sections of the Great Wall and is one of the wall’s three great mountain passes. See Beijing when it sparkles at night! Beijing’s diversified nightlife is fun for everyone. Take a night tour to watch the attractions come to life through lights and color. Traveling by your a private vehicle, visiting all the famous attractions including The Tian'anmen square, National Centre for the Performing Arts, CCTV headquarter, Beijing National Stadium, Donghuamen Night Market and the Houhai lake area. Learn fascinating facts about these legendary landmarks from your professional guide and hear insider tips on exciting places to visit in the capital city at night. Explore both untouched and restored parts of the Great Wall of China on this small-group hiking tour from Beijing. Follow your expert guide along the Simatai West and Jinshanling sections, with scenic vistas of the wall snaking into the distance, and then relax over a home-cooked meal with local farmers. After your hike, you'll receive a certificate of completion to remember this amazing experience. 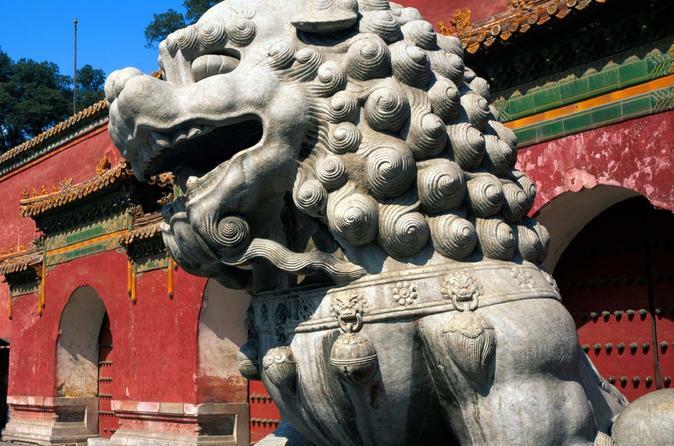 Discover the most popular attractions in Beijing on this multi-day, all-inclusive tour of the city with a private guide. 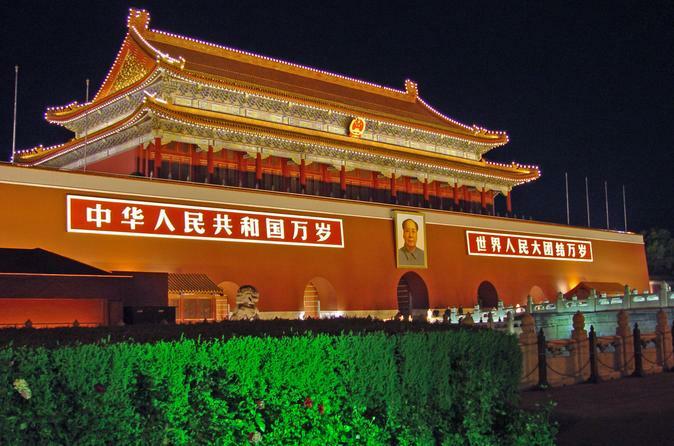 On this stress-free Beijing tour, visit Tiananmen Square and the Forbidden City and learn about Beijing’s political history. 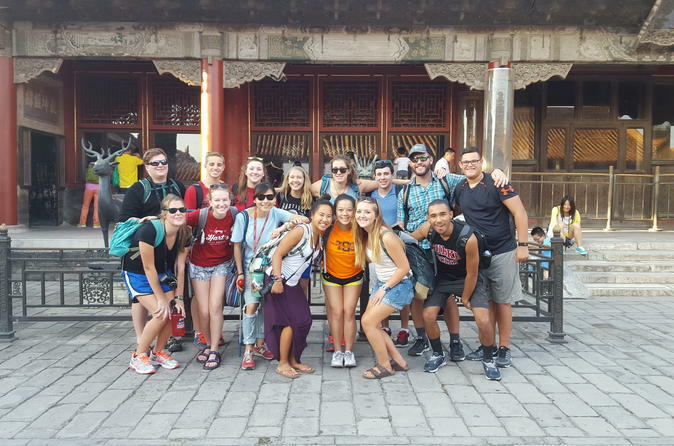 Enjoy the natural and architectural wonders of the Great Wall and the Summer Palace, and walk among the locals along a ‘hutong,’ a traditional Beijing alley. Immerse yourself in Chinese culture at a Beijing acrobat performance and dine on China’s famous Peking duck. The Great Wall is one of the most popular sightseeing that you can not miss while visiting China.This 8-hour private tailor-made great wall tour will guide you to the famous Mutianyu Great Wall - one of seven wonders in the world. You will see the most beautiful view section of the wall. Besides sightseeing, hiking, and photo taking, you will also enjoy a delicious Chinese dumpling lunch meal during this tour. Private vehicle, English-speaking driver-guide and Great Wall entrance fee included. Most of Mutianyu Great Wall tours are required to take attraction transfer shuttle bus to the entrance area, and this tour allows you to be dropped off directly at the Great Wall entrance which saves your time and energy! 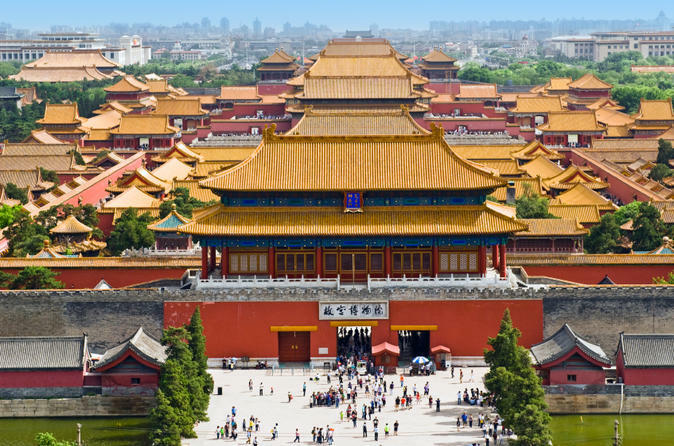 This private Beijing city trip will bring you to the most famous attractions in the city: Summer Palace, Forbidden City Museum, Temple of Heaven and Tian'anmen Square. Welcome to Beijing! 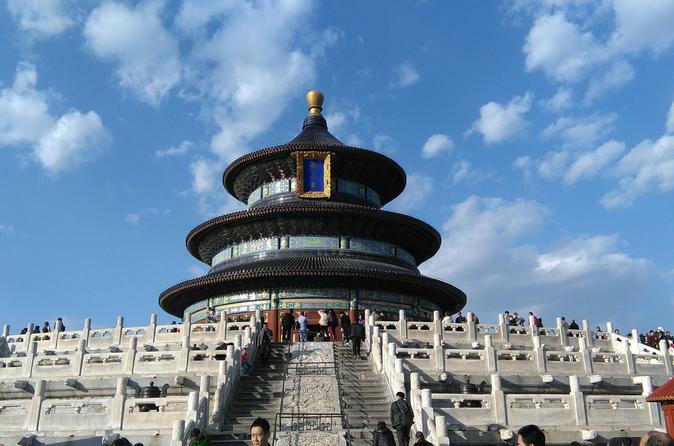 As you know there are so many attractions to see in Beijing, and one day tour is just not enough for you. Come and join this well-arranged 2 days tour package for two days during your trip in Beijing, and you will enjoy most famous scenery and know more historic culture of China. This tour is with lunch inclusive for 2 days, and all entrance fees and private transfer inclusive. Your accommodation in Beijing is not inclusive in this tour package. 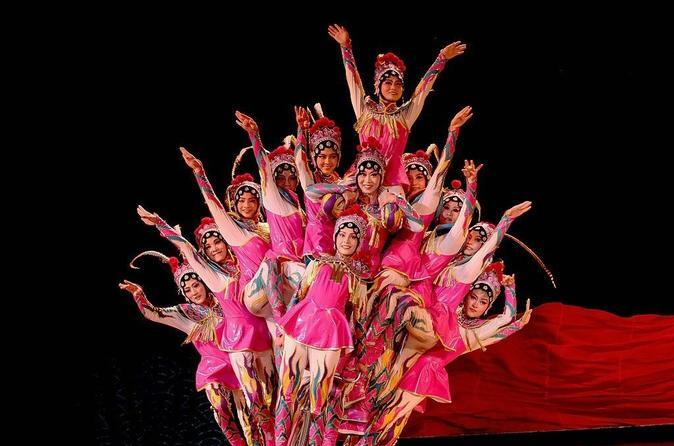 Acrobatics is one of the oldest performing arts practiced in China and the spectacular skills honed over centuries are on display in this entertaining show. The young acrobats perform astonishing stunts and feats of dexterity that you will definitely have to see to believe. Often compared to the Cirque de Soleil, the Acrobatics show at Chaoyang Theatre will have you enthralled as the highly skilled performers in spectacular costumes go through their highly original and breathtaking routines. The hutongs means the ancient alleys or lanes typical in Beijing. As the city develops, its traditional hutongs are disappearing quickly. Hutongs wind through local residences, exposing years of tradition and history. Some are older than 700 years. 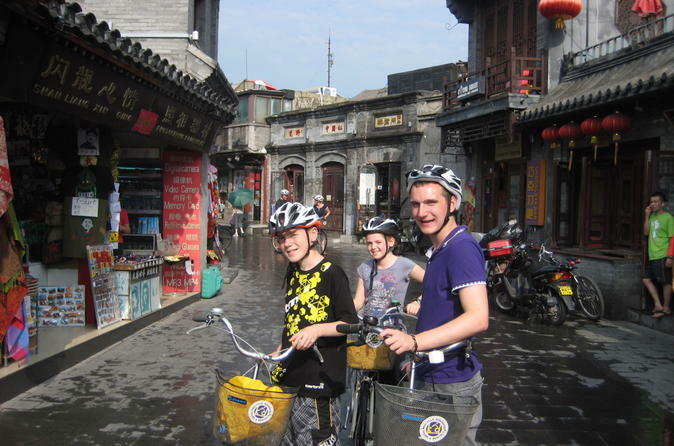 A bike is the best choice to explore these timeless mazes surrounding the Forbidden city. 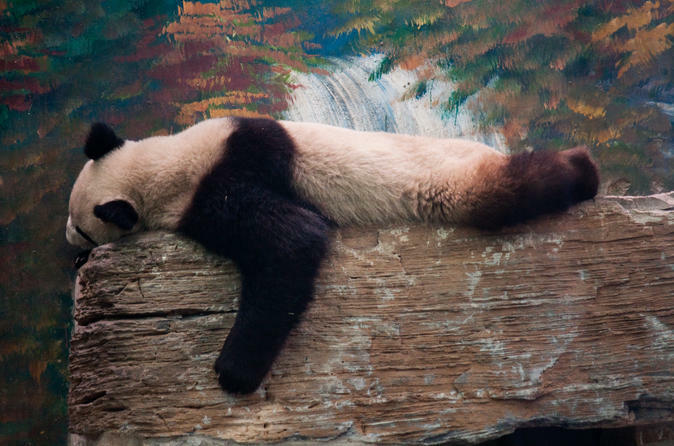 This family-friendly private tour starts with the Panda House of the Beijing Zoo and features nearly all of the main attractions in the Summer Palace. Embark on a scenic 40-minute boat ride from Purple Bamboo Park to the Summer Palace. Admire thousands of exquisite paintings in the Long Corridor and enjoy the panoramic views from Longevity Hill. See sights including the Marble Boat, Suzhou Street, the Tower of Buddhist Incense and more. Dine on authentic Imperial Cuisine, the food once eaten by the Qing Emperors. Note: This tour service is only available from April 1 to October 31 every year. 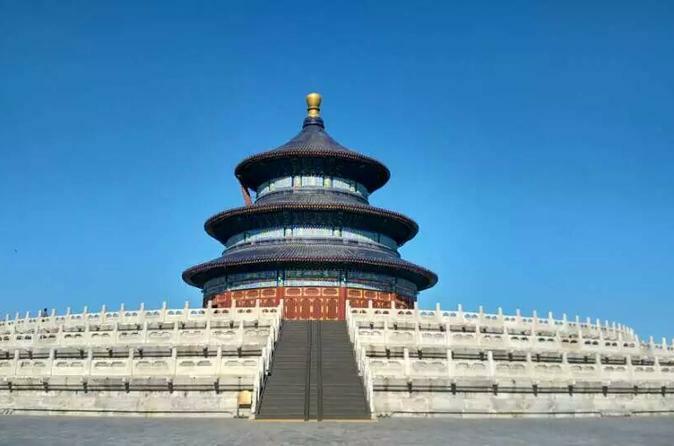 By joining this tour, you will be able to see the major attractions in Beijing during in 2 days, such as The Tiananmen Square, Forbidden City, Jingshan Hill, Temple of Heaven, Great Wall, Summer Palace and many more. All attraction entrance tickets, hotel pickup/dropped off and lunch on both days are inclusive. 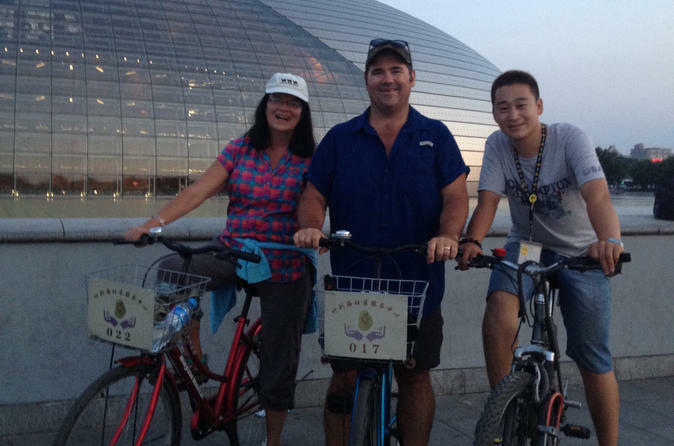 Your knowledgeable and friendly tour guide and private transportation service will make you a memorable stay in Beijing. This is a tour package only, no hotel accommodation included. Go sightseeing on your own, or with a knowledgeable local guide, on a private customized tour of Beijing that includes transport. Make use of a private vehicle to get around the city with comfort and ease using your prearranged itinerary. And if something gets your attention en route, stop and check it out. Visit key attractions such as the Forbidden City on a half-day tour, or select a full-day itinerary for the chance to explore the Great Wall. A tourist map and itinerary suggestions are included to help you decide how to spend the day. This full day tour in Beijing will enable you to experience the most attractive historical sites: Great Wall at Mutianyu, Tian'anmen Square and the Forbidden City. As you head to the Mutianyu Great Wall, you will make a short stop at the iconic "Birds's Nest" for photos. The entire tour will be set at your preferred pace without any rush. You will have your own guide and private vehicle with no hidden charge and no souvenir shopping stops. 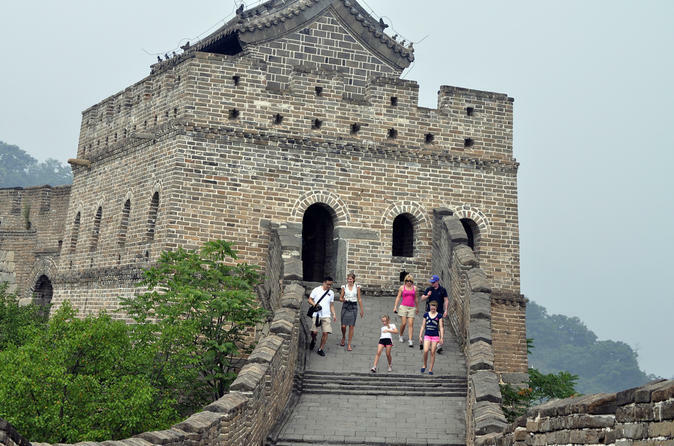 Join this one day private Beijing day trip to the Mutianyu Great Wall and Ming Tombs. Lunch, attraction entrance fees and private transfer are all inclusive in this tour. On this private tour of Beijing, experience unique cultural activities and locales that present a diverse mix of Chinese culture. 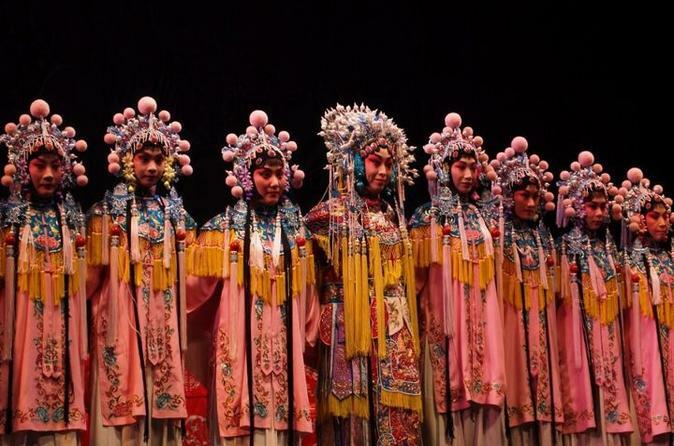 Discover the wonderful form of traditional Chinese theater on performance of Peking Opera. Enjoy a scrumptious spread of Peking roast duck, popular among locals and visitors alike. Finally, take a walk down Nanluoguxiang Alley and on to Shichahai, a historic scenic area brimming with lively shops and restaurants, to experience modern Beijing culture against a historical backdrop. Hutong is the traditional courtyard residences of Beijing locals, and most of Hutong building you see nowadays are the heritage from Yuan, Ming and Qing dynasties (with nearly 700 years history). It represents an important cultural element of the city of Beijing, and you will find so many interesting stories and things to do here including rickshaw riding, watching a cricket fighting show in a Hutong family house. Of course, you will also visit some major attraction sites in the Bell and Drum Tower area, such as Mansion Garden of Prince Gong, the Former Residence of Song Qinling, the Buddhist Temple, the beautiful Shi Cha Lake, and so much more. It's a wonderful old Beijing culture learning experience. 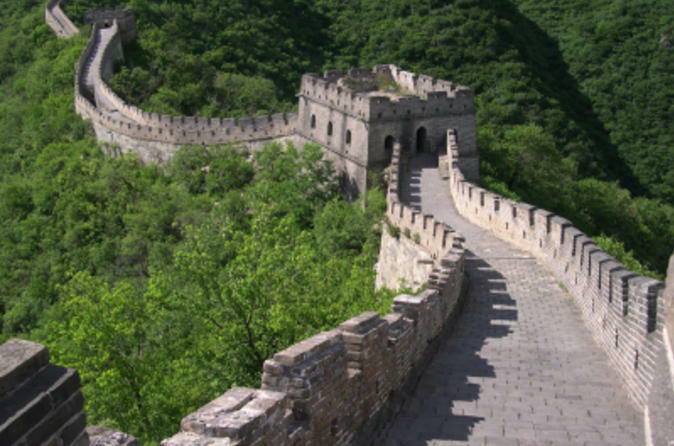 On this 2-day coach tour combo package see the best of Beijing and take a day trip to the Great Wall at Mutianyu! 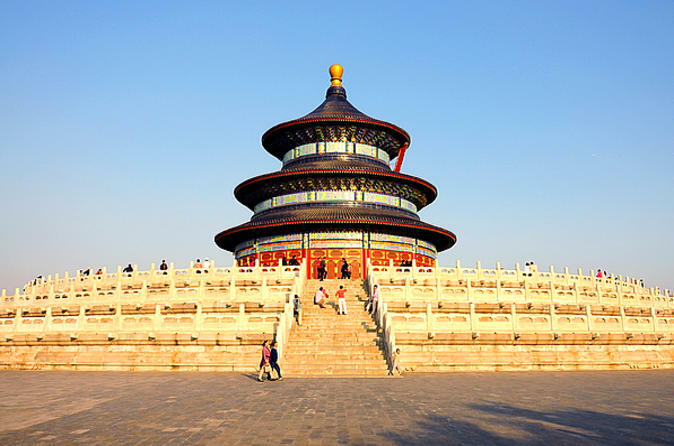 Your tour guide will pick you up at your hotel lobby each morning and on the first day you will visit Tiananmen Square (the political symbol of communist party in China), the Forbidden City, the Summer Palace and the Temple of Heaven (A World Culture Heritage site). 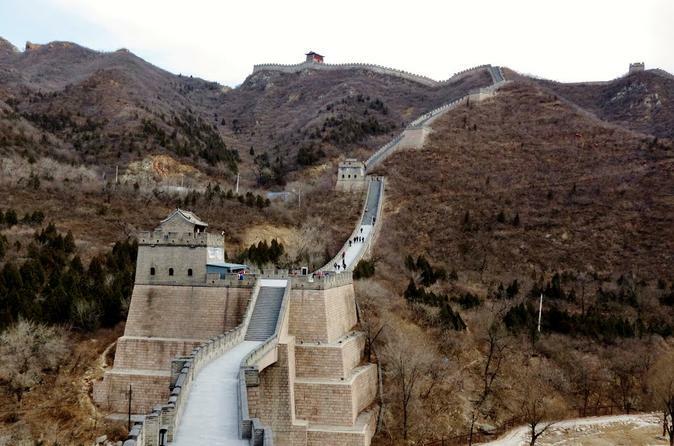 On the second day explore the most beautiful and best preserved section of Great Wall, Mutianyu. In addition, on the second day you will also see the Ming Tombs and will view the Olympic stadiums in the distance. Please note: Hotel accommodation is not included in this tour package. This 2-day private tour will provide a chance for you to visit the top highlights of Beijing such as the Great Wall and the Summer Palace. 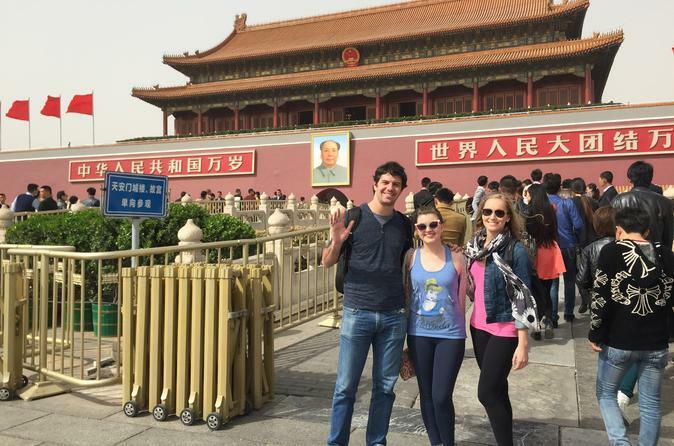 Venture to the Forbidden City and Tian'anmen Square as well. Experience a unique activity known as "square dance" and watch a Taiji show inside of the Temple of Heaven. Lunch, private transport with an English-speaking guide will be provided for this tour. This is a tour package only, no hotel accommodation is included. 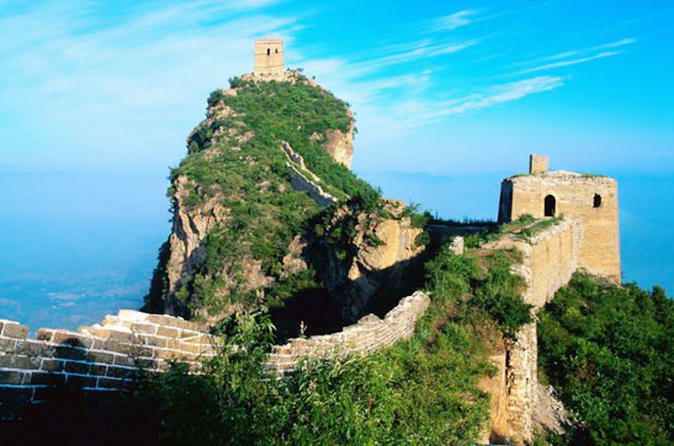 Mutianyu offers you a alternative experience of visiting Great Wall compared with the Badaling Section and you will have the opportunity to view the Bird's Nest and Water Cube. Combine the cultural delights and delectable bites of Beijing on this enriching 3-hour food tour of China’s captivating capital. 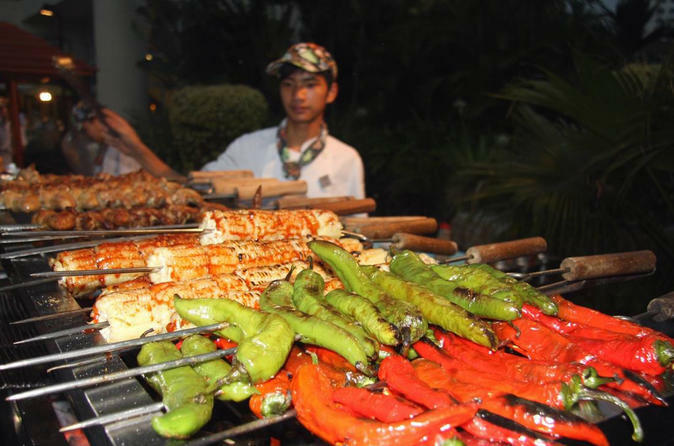 Accompanied by a private guide, appease an appetite for authenticity as you sample 10-15 different types of local delicacy. 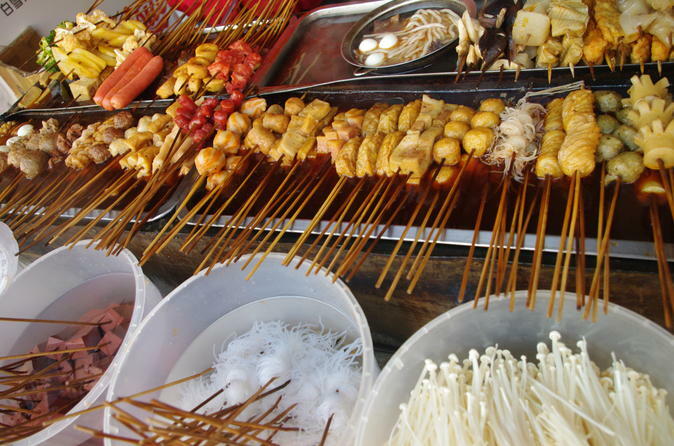 Gain fascinating insight into China’s rich culinary culture and traditions at night.